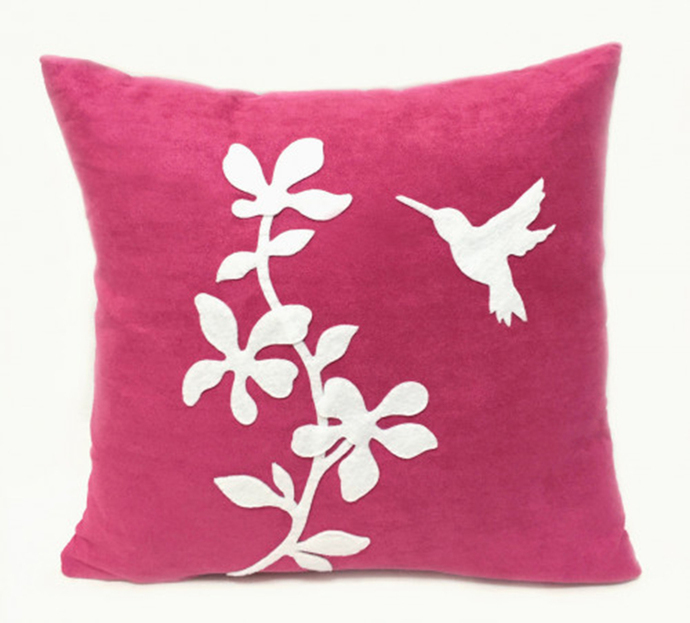 It certainly makes a great gift for housewarming party, new home and for Wedding too. 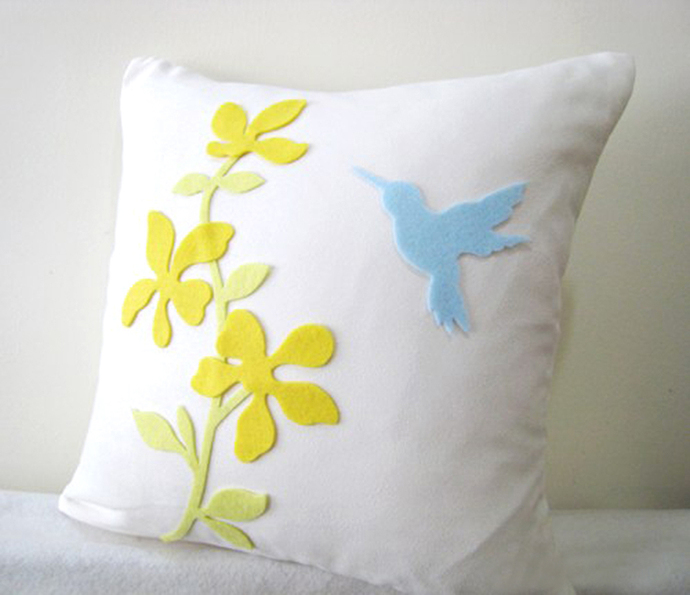 Flowers and humming bird are hand-cut of recycled felt. 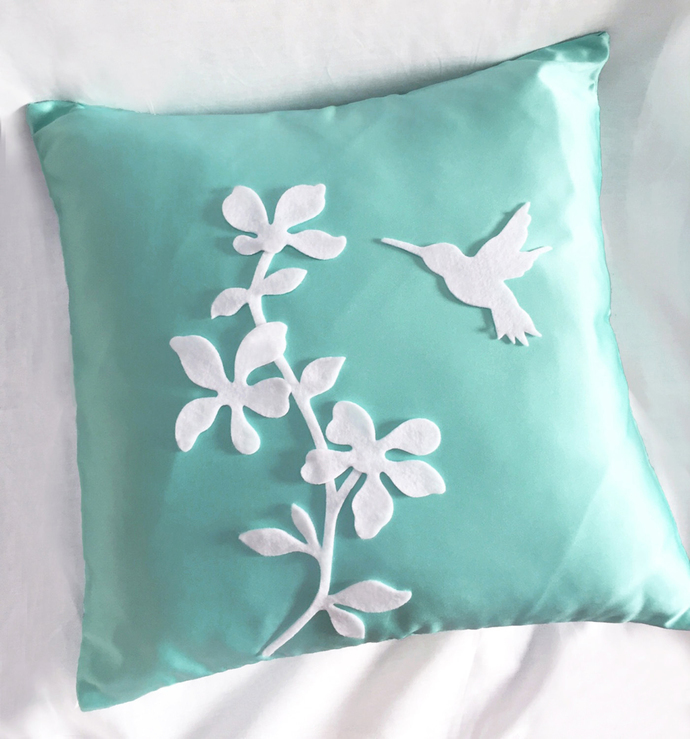 Hand sewn (Not glue) stitch by stitch with time and love, on the front panel of pillow only. 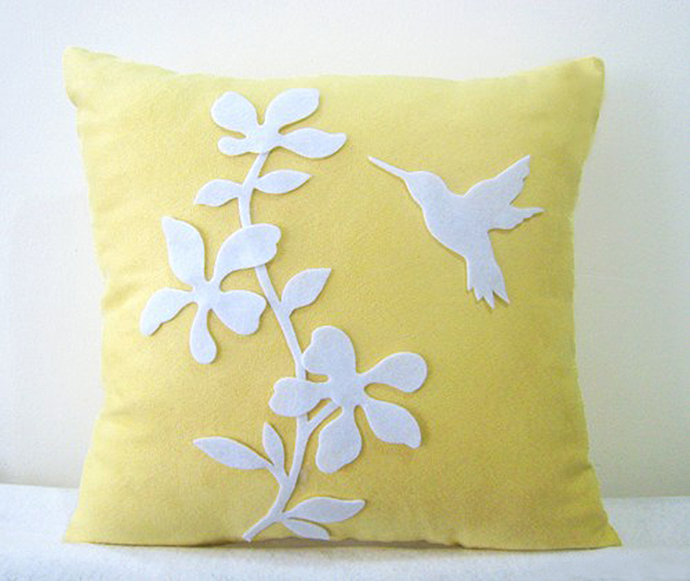 Fabric is fine Suede in Soft Yellow, with invisible zip at the bottom for insert removal. **Pretty Fuchsia, Mint, Purple, Soft Blue, Peach and more color base are available.